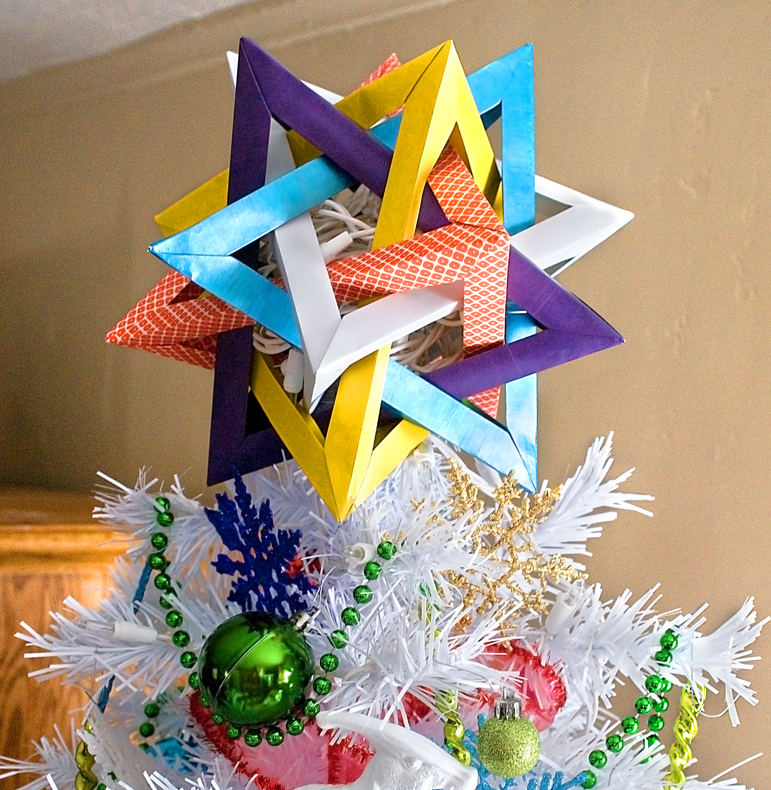 I wanted to make a tree topper but I didn't want to throw together something ugly. I decided the only thing I could do that would look nice but be little to no cost was origami. I looked online until I found a pattern that I thought would work. I did not have pretty paper so I painted some white paper with acrylic paint. I adjusted the paper dimensions so the star would be big enough, then started folding. The first attempt did not go very well but the second one was perfect. I filled it with Christmas lights and my tree was complete. Hello. I love this tree topper. Is there somewhere that gives instructions on how to make it? It is just modular origami. 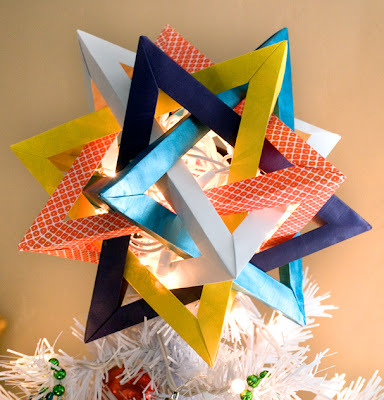 If you Google "five intersecting tetrahedra" and you will find what you are looking for.